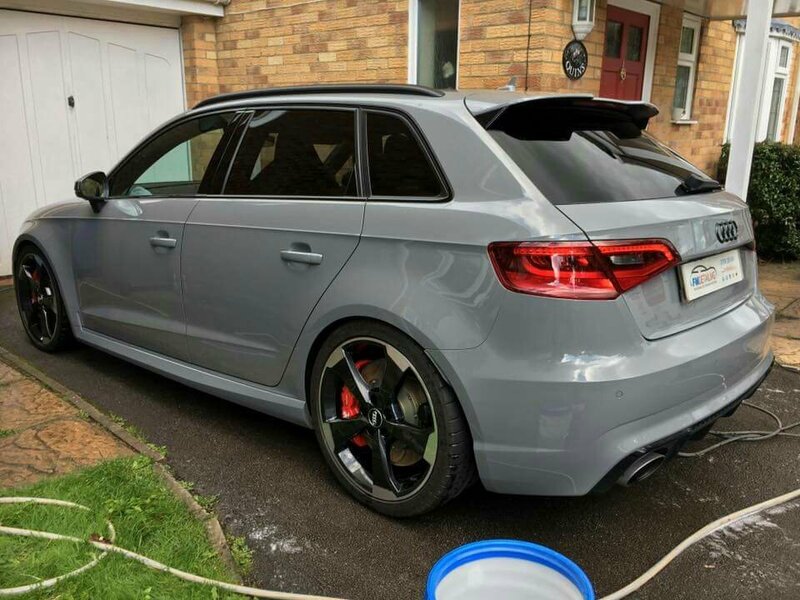 I have picked up my new Nardo RS3 Sportback and I love it having done 500 miles so far. I have come from an RS4 (B8) and a BMW M2. The thing that I think needs improving is the stance of the RS3 as it has large arch gaps unlike my RS4. I fitted Eibach springs to the M2 which made it look perfect and also kept the OEM ride qualities. 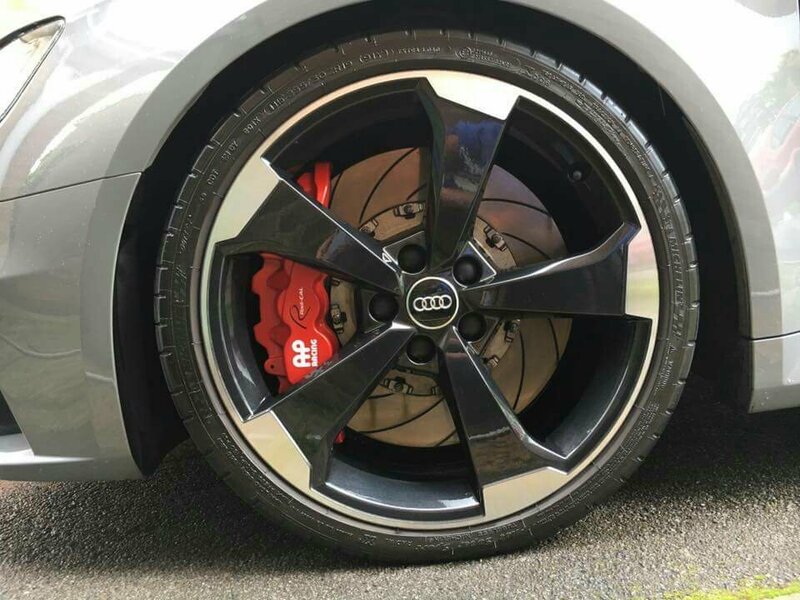 What are my options for the RS3? From my research the Eibach springs are very subtle and the H&R springs are quite aggressive at the front (a bit OTT for me). I don't want coilovers. Examples with Eibach springs are very rare and I have only found one example!!! Anyone on here have them fitted? Would love to hear more about your views on the M2 vs RS3. I've thought about flipping to the M2 but I'm pretty sure I'm going to stick with the RS3...the engine is just too good! MSS on mine. Tad expensive but worth it imho as it rides great now too. q5man, kkp0897, Rob2k68 and 4 others like this. q5man and Rob2k68 like this. The M2 is an amazing package. It’s a pure drivers car that arguably is better than the M3 or M4. I cancelled an M4 Comp order to get a last minute slot on an M2 build. I added some M Performance parts which included the alacantara wheel. In comparison to the RS3 400. Sound = RS3. Wow, just wow. It’s like my friends Hurican for the tone it produces. Dynamic driving (difts!) = M2 obv. However I was surprised at how the new RS3 likes to kick out on exit!!! Looks = I thought the M2 looked more special, however I digress after driving the RS3 around - it gets so much more attention. Strange! In current guise go for the RS3. However if they ever released an M2 GTS then I’d probably go back! q5man, KKOG, teslaboy and 3 others like this. It looks great. Is that at its lowest? Where is best to purchase? It goes lower as it is fully adjustable, set by AKS to their default setting though. As above I got mine S&F by AKS. Funny that you mention it sounds similar to your mates Huracan. My boss always comments that it sounds like a Lamborghini Huracan is coming down the road! Until you hear an RS3 in the flesh at full chat, it's difficult to explain just how loud and good it sounds. Still, why did they get rid of the pops and gurgles on downshifts?! My other mate also traded in this pre facelift in for a facelift and he misses the pop and bangs tremendously. I presume it’s something down to emissions, I’m sure a remap could get them back however invalidate warranty. Let me know what you decide and how the fit/ride. This is going to be my first mod also. I heard H&R springs were decent too. I have a FL for the day on Monday. I'm going to give it a good run out and will report back if I miss the pops and crackles and downshifts. I fear I may. In which case a FL will be off the menu and a remap on mine the order of the day. My friend who picked his up when I did said it's a big difference from the PFL. Sound and performance along with the VC. Have fun. Oh and it bangs on upshift. I'm looking at the MSS kit myself. Ever had any issues with scraping? 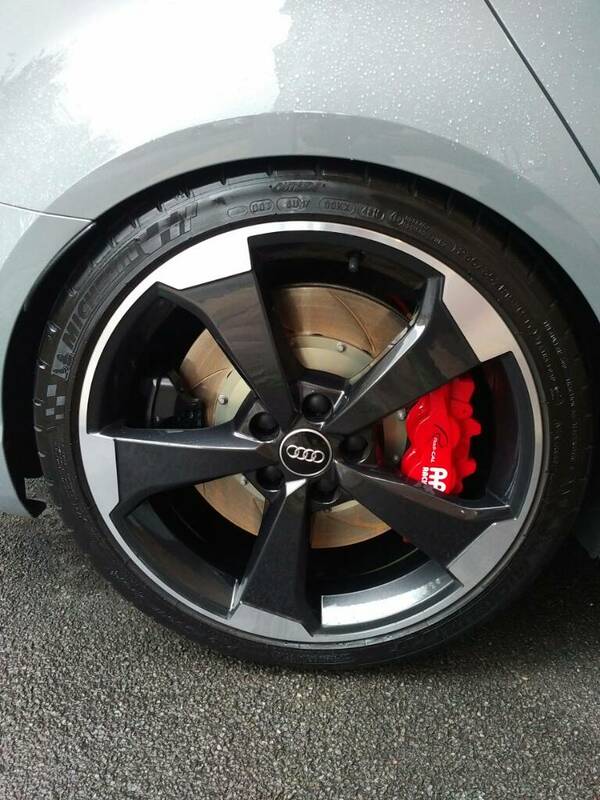 I’m pretty sure the RS3 will be put on springs but I’d worry with warranty, seeing as my last car had steering/suspension issues. I have to be careful on speed bumps vs before so either avoid them or go slow over them. Actually had a 4*4 overtake me on a set of speed bumps which was embarrassing and annoying at the same time! It is the plastic cover under the car that scrapes not the front "splitter". I'll have a look at it next time it's up on a ramp, probably battered! AudiNutta, FBF01 and T-800 like this. I cant rate the MSS Springs enough. Fitted with 20” OZ wheels and rear ARB, it really is the perfect set up. And I tried ABT and H&R Springs first. They are expensive, but very much worth it. Coupled with the rear ARB, there is little or no understeer. The car is smoother, and obviously looks better. billymc92 and FBF01 like this. Seems like a lot of love for MSS. What % hikes did you guys experience with insurance? No change in insurance for suspension and wheels swap for me. Who are you with? Thanks. Admiral. There would have been an admin fee but as I only just swapped the policy they waivered that. Nice.. my current insurer will not quote mods. My broker will need to check their panel. Dakar's? What tyres did you go for? nice... what colour is your car? q5man and Sandra like this. Ooh Fran sent me a pic (he cleans my car too), looks amazing! Your car looks awesome. You will get a top job from our Fran. He keeps @terminator x car in tip top shape. Thank you....I was wondering how.... lol.... thank you.... did he send the ones with the OZs on?